Hanukkah! Yet another Jewish holiday in which we celebrate that time somebody tried to destroy all the Jews and we miraculously survived. Time to eat fried foods, spin the dreidel, and light the menorah. 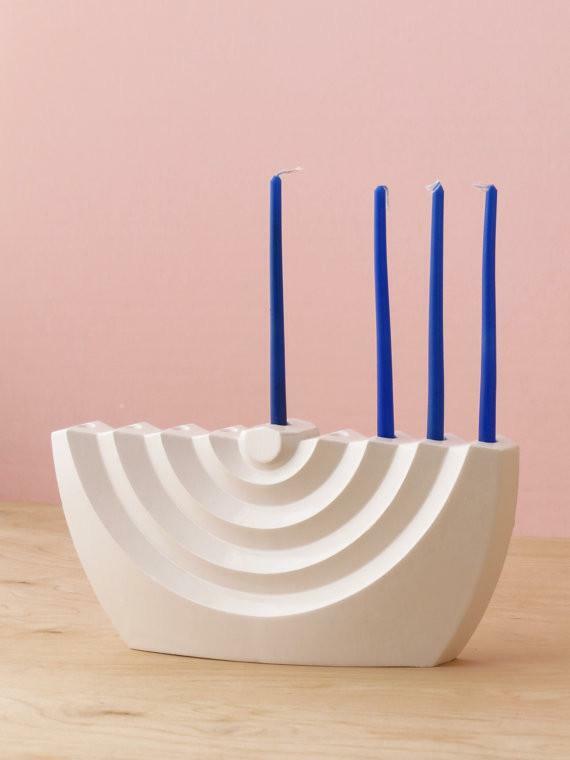 You’ll be staring at your menorah for eight days, so you better find one you like. We’ve rounded up our favorites and organized them into five handy dandy categories below. These designs will match your home decor no matter how many times you change out the curtains. Cute obviously = animals. Here are the cutest animal menorahs out there. Sometimes tacky is just what the (Jewish) doctor ordered. Partake in the Festival of Lights for the low, low price of $15 or less. Included purely for window shopping purposes.